Does it matter to have a good ranking on Alexa? From time to time, you will come across a website that has a banner showing its Alexa ranking. These websites and their webmasters are concerned about their rank on Alexa and the reason they optimize their websites according to rank better on Alexa. Alexa is run by Amazon and has its focus on web analytics. The ranking in Alexa is a listing of multiple domains and their relatively recorded traffic. 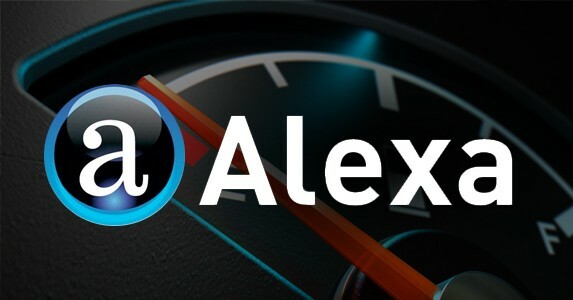 When you have a good ranking on Alexa, it means that the website receives a lot of traffic as well. This is all Alexa looks at; there is nothing more to it like site quality and back-linking. Alexa rankings are used to show how popular a domain is. People who were concerned about the ranking on Alexa were affiliates, competitive webmasters and domain marketers. Nowadays, many people do not care about Alexa ranking and this has resulted to a decline on the importance of PageRank. You might wonder how your ranking on Alexa is determined yet you do not have a code installed to your website. Alexa uses its toolbar to record your visitors. Amazon is doing their best to popularize the toolbar a browser extension yet toolbars are becoming extinct. Is Alexa of any significance? This is the case of the ranking shouldn’t matter but it does, but we would say that this kind of ranking should not be of concern because it is skewed. The webmasters who install the toolbar will be biased towards a given demographic. You will come realize that many industries will not take advantage of the specific demographic and this will mean that they will have lower ranking compared to smaller site in respective industries. If you care about Alexa, then encourage your visitors to install the Alexa toolbar to their browsers. ← Is it possible for a website to rank well even with little content?